Instagram has been growing as a powerful tool for online marketing. However, just setting up a business account and sharing content in this type of social media is not enough to guarantee your prosperity. The secret to success on Instagram can be translated into a word: reach. Simply put, reach is the number of people who see your posts. Increasing the visibility of your posts will help the right audience find you easily, which means more followers and, consequently, more customers! Along with including these elements in your content strategy, you can boost engagement even more by creating conversations with your followers whenever they comment on or like your posts. Besides knowing what to share in order to increase engagement, you also have to optimize the timing of your post. This is important because it will give immediate engagement that can kick off your content – or not. So, what time should you post? The best way to figure that out is to start posting and try to get an understanding of your followers’ activity and the times when they are most likely to be online. In other words, your posting schedule is dependent on your audience demographics and how they use Instagram. If you have an Instagram Business Profile, Instagram Insights is a great tool, as it allows you to find out when – by the day of the week and the time of day – your followers are most active. A recent study conducted by News Whip found out that video content on Instagram generates more comments than photos. Although pictures bring more likes and overall engagement, videos often generate more than twice the number of comments than photos do. And, considering how fast and easy it is for a person to double-tap on the screen, commenting certainly reveals a deeper level of engagement. Besides, motion content is growing as the amount of time that users watch video is increasing. Last year, Instagram reported that this growth represented more than 40% over a six-month period. This is a great time for experimenting with videos, as that percentage indicates a trend that deserves attention. Hashtags are a big deal on Instagram, so choosing the right ones can provide the reach that your content deserves. Take advantage of existing popular hashtags that are related to your brand and that are relevant to your audience. This way, your posts will be displayed to users who might have interest in following your account. Although Instagram allows up to 30 hashtags per share, engagement is the highest on posts with 11 or more hashtags. When planning your hashtags, keep in mind what terms your target market might be searching on social media. A good way to study your audience is by browsing their posts to check which hashtags they use. Finally, for maximum reach, try to mix your brand’s unique hashtags with trending and new hashtags, along with general hashtags. The best way to get people excited about your brand is to recognize them. How can you do that? By curating the content your audience produces and giving them the spotlight! The second annual Intelligence Report: Instagram found out that user-generated content increases conversions by 4.5%. This number is even higher – 9.6% – when the user interacts with the post. Showcasing followers on your feed is a great tactic that not only helps with your content strategy but also shows your audience that you care about them and recognize them. This recognition creates a strong connection between your brand and your followers that ultimately drives sales and loyalty. Although using these tips will help you achieve the Instagram reach you desire, as with any social media strategy, it is important to consistently use these tactics. 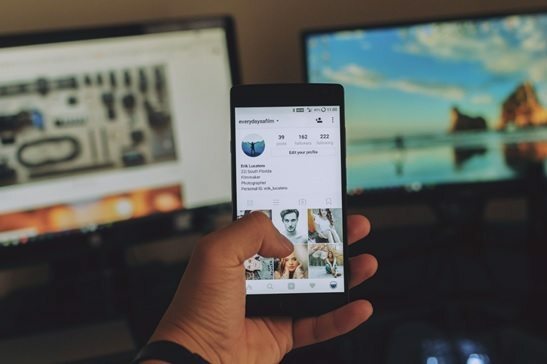 Ultimately, keep in mind that you will only succeed on Instagram (or on any social media channel) if you create great experiences for your followers. Make them happy and you will see passive users becoming loyal brand advocates!